TEMPE, Ariz., December 1, 2009 – Flow Technology, Inc. (FTI), a leading manufacturer of precision flow measurement instruments, systems and calibrators, today announced the FT-BD turbine flow meter system. An accurate solution for measuring bi-directional flow in a wide range of liquid applications, this advanced system can also compensate for viscosity changes due to variations in ambient fluid operating temperature, which affect the accuracy of flow measurement data. 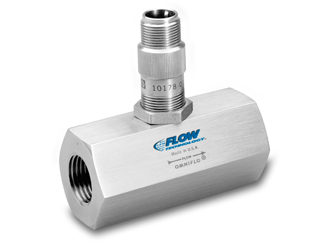 Employing Flow Technology’s FT Series turbine flow meter paired with the LinearLink™ Temperature Compensated Interface (TCI), the FT-BD system provides bi-directional flow measurements in a host of hydraulic, pneumatic and pumping applications. The FT Series meter is an ideal choice when high accuracy, compact size and fast response are critical. The LinearLink TCI is a sophisticated electronics platform for flow meter linearization, viscosity correction and density compensation. With the FT-BD system, an FT Series turbine flow meter with a bi-directional Universal Viscosity Curve (UVC) calibration employs dual RF/RTD pickoffs for determining flow direction and sensing temperature. The LinearLink TCI’s innovative, temperature-compensated linearization technique reduces viscosity effects on K-factors by calculating fluid viscosity through real-time temperature measurements and proper calibration methods. As an alternative, the FT-BD system can be employed with Flow Technology’s SL9100 Series Flow Computer. This powerful unit can be configured to display volumetric or mass units of measure with UVC and Strouhal-Roshko temperature compensation for variations in viscosity and density due to temperature. The SL9100 can output a 4-20 mA flow measurement signal to the user’s data acquisition system and display digital read-outs via a panel-mount display. For more information about the FT-BD system, please visit https://ftimeters.com.